Published studies (Horowitz et. al. in two studies ten years apart) show that currently less than 15-25% of those who visit a dentist regularly report having had an oral cancer screening. Most frequently when it is done it is accomplished by the RDH in the office and not the doctor. RDH’s are qualified to do these screenings and bring suspect areas to the attention of the doctor in the office for further examination and potentially additional diagnostic procedures such as biopsy. This low percentage of patients screened is unfortunate, when you consider that historically, the greatest strides in combating most cancers have come from increased awareness and aggressive campaigns directed at early detection. It is now commonplace to annually get a PAP smear for cervical cancer, a mammogram to check for breast cancer, or PSA and digital rectal exams for prostate cancer. These screening efforts have been possible as a result of the increased public awareness of the value of catching cancers in their earliest forms, combined with educationalists or technologies for conducting the examinations. Oral cancer is no different. Actually, it is potentially easier to obtain public compliance for oral cancer screenings, since unlike many other cancer screening procedures, there is no invasive technique necessary to look for it, no discomfort or pain involved, and it is very inexpensive to have your mouth examined for the early signs of disease. Education of the public regarding the risk factors which lead to oral cancer, recognition of the early signs and symptoms, and the development of patient awareness, are primary responsibilities of the dental community. This is dentistry’s cancer and area of responsibility. It is important that both private individuals, and members of the dental community, realize that a visit to the dentist is no longer only about a filling, a crown, or a postponable cleaning, but can be a matter of life and death. Dental examinations, when properly done and which include a screening for oral cancer, will save lives. 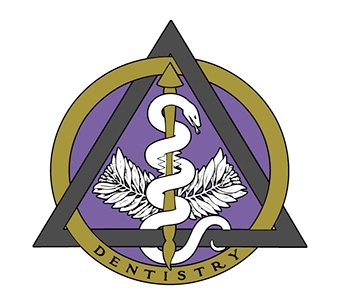 If you are a dental professional, we encourage you to become a member of the foundation, and partner with us in this effort to increase the number of annual screenings which are being done. We can provide you with materials such as waiting room brochures which explain to your patients the risk factors and early signs and symptoms of the disease, as well as help them realize the importance of opportunistic annual screenings. Historically, it has been difficult to determine which abnormal tissues in the mouth are worthy of concern. The fact is, the average person routinely has conditions existing in their mouths that mimic the appearance of pre-cancerous changes, and very early cancers of the soft tissues. One study determined that the average dentist sees 3-5 patients a day who exhibit soft tissue abnormalities, the vast majority of which are benign in nature. Even the simplest things, such as a canker sore (herpes simplex), the wound left by accidentally biting the inside of your cheek, or sore spots from a poorly fitting prosthetic appliance or denture, all at first examination, share similarities with dangerous lesions. Some of these conditions cause physical discomfort, others are painless. The question is which ones deserve action, and which ones bear watching and waiting? There has been a tendency to watch these areas over an extended period to determine if they are dangerous or not. Unfortunately, this philosophy leads to a situation in which a dangerous lesion may continue to prosper and grow into a later stage, hard to cure cancer. Any sore, discoloration, induration, prominent (exophytic) tissue, irritation, hoarseness, complaints of difficulty in swallowing, unilateral earaches, which does not resolve within a two week period on its own, with or without treatment, should be considered suspect and worthy of further examination or referral. Besides a routine visit to the dental office for regular examinations, it is the patient’s responsibility to be aware of changes in their oral environment. When these changes occur, they need to be brought to the attention of a qualified dental professional for examination. Taking the time to give the patient a “guided tour” of the important areas of the oral environment to examine at home is a worthy endeavor. The dental professional needs to be current in the knowledge base necessary to make a proper choice if suspect tissue is worthy of referral or not, and be competent in the proper screening procedures to identify oral cancer. At the very least, persistent abnormalities need to be identified by the general dental population, and sent for referral and biopsy when warranted. There are two separate issues, discovery and diagnosis. Discovery is the result of a thorough visual and manual examination. A protocol for a comprehensive oral cancer screening appears elsewhere in this section of the web site. It includes a systematic visual examination of all the soft tissues of the mouth, including manual extension of the tongue to examine its base, a bimanual palpation of the floor of the mouth, a digital examination of the borders of the tongue, and the lymph nodes surrounding the oral cavity and in the neck. Discussion of oral history taking, which is even more important now that HPV16 has become a significant risk factor for the disease and does not with routine, produce visible symptoms, is now a critical component of the exam. New diagnostic aids, including lights, dyes, genomic and biologic markers accomplished through swab, or saliva analysis, and other techniques are beginning to appear on the marketplace. Some of these have more value than others and stronger scientific efficacy. Some of the tests in the marketplace have avoided FDA approvals and come to market through a laboratory standards protocol, and at this time (2016) the foundation is not an advocate for the current marker-based tests available. None have the endorsement of any of the major pathology societies, and until such time as their efficacy meets the criteria of these organizations, OCF is not a supporter of their use, and has low confidence in their findings as a useful component of the process. In the future they may potentially assist in making the discovery process more effective. It is still possible to do a comprehensive examination through a proper visual and tactile white light process alone. For that matter, in the foundation’s opinion the use of these devices without conducting a thorough visual and tactile examination will not yield adequate results and is not recommended. These are adjuncts to the visual and tactile exam, NOT replacements for it. Once suspect tissues have been detected, or red flag issues revealed in the oral history, the only way a definitive diagnosis of oral cancer may be made is through biopsy. Given the large number of tissue abnormalities a dentist sees every day, it is not logical, nor practical, that each one of these be biopsied. The first question which may help in the determination of which abnormality bears closer examination, is how long has the suspect condition been present? Any condition that has existed for 14 days or more without resolution should be considered suspect and worthy of further diagnostic procedures or referral. Certainly, it is common knowledge that two of the most prevalent lesions that mimic oral cancer, are the herpes simplex ulceration, and aphthous ulcerations, each resolving of their own accord in approximately 10-14 days. Perhaps that sentence should be underlined, since one of the most common diagnoses received with referred patients to a major university cancer pathology department is “an atypical herpetic/aphthous lesion.” These all too frequently turn out to be squamous cell carcinomas, which have been under observation…. for several months. There are other common guidelines such as the fact that oral cancer seldom, if ever, presents bilaterally in the oral environment, nor do they routinely appear on the midline. These are not absolutes, but may aid in the determination of what is worthy of immediate concern. The only conclusive manner to determine if a suspect lesion is dangerous is through a biopsy. Even the most trained eyes cannot determine what is actually going on on the cellular level. Is it a lesion that has become dysplastic? Is that dysplasia high grade and a likely candidate for progression to malignancy? Only a biopsy performed, and read by an oral pathologist will reveal the answer. If you feel competent to tell a patient who has a persistent lesion by visual examination alone, that they have no problem worthy of referral, please remember that that decision comes with it the full liability of any dangerous condition missed. When you refer a patient to someone for biopsy, or to a colleague that has additional education and training, you are not only providing a mechanism that allows the patient to obtain a more definitive diagnosis, but you are potentially deferring legal issues. Some advocate for the decision to be made through a brush cytology cell collection to determine risk. An oral biopsy brush is available that makes this decision to get a more conclusive conventional biopsy easier to make. But it does add time to the equation, and its accuracy has limitations. Any positive found through brush cytology, must be confirmed by conventional incisional or punch biopsy. Note that a brush biopsy system is not designed to provide the kind of information, specifically cellular architecture, that would be obtained through a punch or incisional biopsy. But it will likely provide an answer to the question of whether risk exists or not, through a quick, minimally invasive, and inexpensive procedure. Should positive results be returned through this system, the brush biopsy must be followed by a conventional biopsy and pathology for confirmation. The argument for the brush biopsy is that it eliminates the waiting and watching of a suspicious lesion, while it develops from a highly treatable and curable, early stage localized cancer, into a life threatening late stage malignancy. Positive identification of oral cancers at the earliest stages, result in the best prognosis for cure and long-term survivability. The foundation is not opposed to this multi-step system of determining patient risk. However, referral to a specialist, such as an oral surgeon, adds another informed opinion to the process, and involves now a professional that routinely does conventional biopsy. There is a second issue of transfer of liability for prompt and appropriate diagnosis to the doctor on the receiving end of the referral, which may be attractive to the generalist who is less trained in recognizing which lesions are high risk. Professional guide to incisional biopsy. Refer it or do it An overview of procedures to help you decide. For general dental practitioners, OCF believes your responsibility is at minimum creating awareness, and being involved in opportunistic discovery of suspect tissue through routine screening of your entire patient population, and referral for second opinion or biopsy when appropriate. For dental specialists such as oral surgeons and periodontists, as well as oral medicine specialists, it is providing second opinions, and when requested, performing biopsy of any suspect area. Once confirmation of disease by the pathologist is obtained, referral of the patient to a proper medical institution or medical professional oncologist is also part of the dental profession’s responsibility. While this process creates a continuous chain of custody and referral during the discovery and diagnostic process, patients with positive findings will continue to need your care. As they prepare for treatment and for management of oral issues before treatment may begin, as well as during and after the treatment process the dental professional is a core part of the team that will see to their needs as a cancer patient. When it comes to oral cancer and saving lives, these are the primary responsibilities of the dental community. The most important step in reducing the death rate from oral cancer is early discovery. No group has a better opportunity to have a positive impact on this than members of the dental community. Start a dialog with your patients today. Even if talking about cancer with them is difficult, there are mechanisms around this. Take a look at the dialog buttons in the OCF store. They are a simple tool to help you begin the conversation with your patients.